Rihanna arrived to the MET Gala red carpet and completely shut it down. No seriously, the entire red carpet had to be cleared upon her arrival. 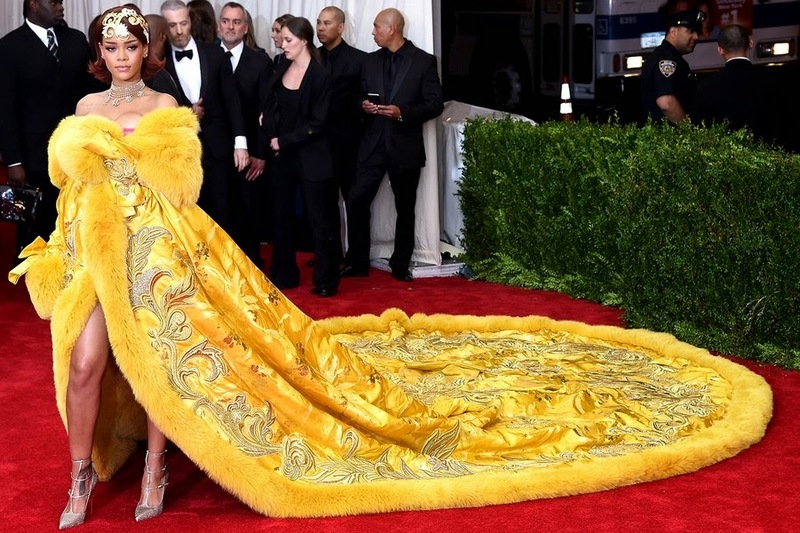 The pop songstress arrived to last night's gala wearing an imperial custom yellow, fur-trimmed cape designed by Chinese fashion designer, Guo Pei. Rihanna gains the gold of the title of "Best-Dressed" as she perfectly embodied this year's MET Gala theme: China: Through The Looking Glass, and what better way to honor China, then donning a Chinese designer's authentic elegant frock? From having personally been on the red carpet to witness this magic, one can be assured that Rihanna's gown was nothing short of spectacular and breathtaking- as well as having to need 4 different people to manage its train. What did you think of Rihanna's look?